Challenge Stadium in Mount Claremont (formerly “the Superdome”) is a world-class sporting complex. Designed by Peter Hunt Architects, it contains an indoor Olympic sized swimming pool as well as facilities for basketball and gymnastics. 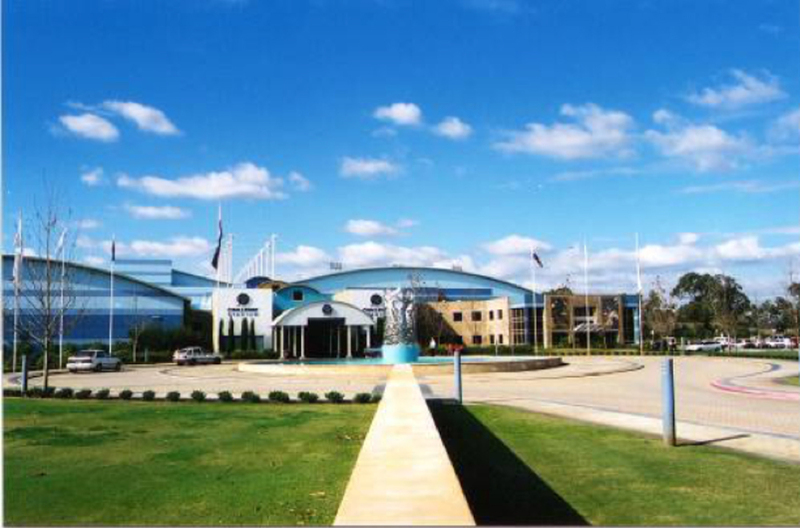 The building also contains offices to house the West Australian Institute of Sports, lecture rooms and catering rooms. 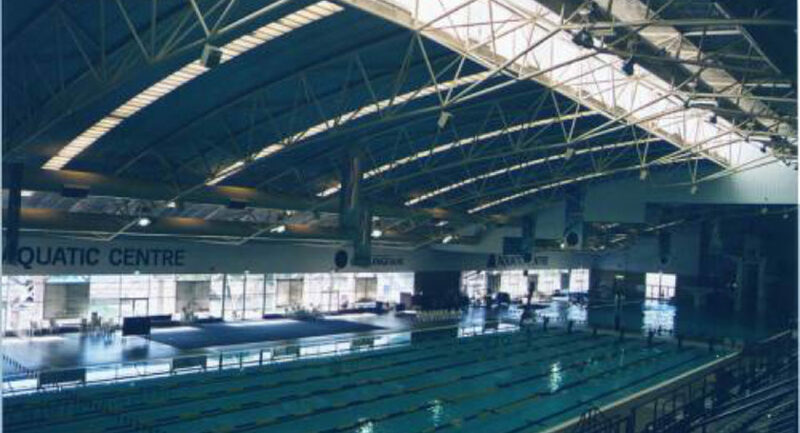 These facilities were the host venue for the sixth and eight World Swimming Championships in 1991 and 1998. Other events hosted include international and national sporting events, exhibitions, concerts, functions and seminars. The main arena houses an eight lane 50 metre Olympic standard swimming pool and a diving/water polo pool. Curved triangulated roof trusses form the roof over the main arena. These generate significant lateral loads which are carried by the concrete thrust blocks located external to the main arena.